Reading the power packed tagline “The first 110cc scooter to conquer the highest motorable road” on brochure material of TVS Scooty Zest 110, we were of course curious like anyone else to experience this 110cc scooter by TVS. 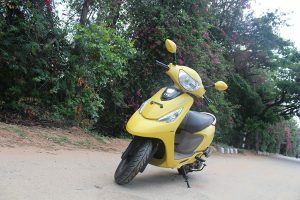 While we kept hearing good things about the popular TVS Jupiter ( Read: TVS Jupiter review) and the WEGO ( Read: 2017 TVS Wego gets 2 new colors ) – we have to admit we never test drove or experienced the Scooty Zest 110 before. 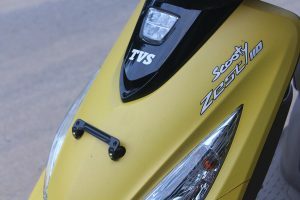 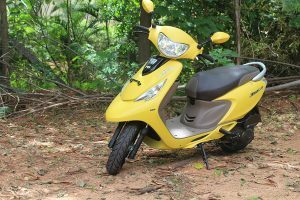 To satisfy our thirst to test another scooter, TVS was kind enough to provide us the all new TVS Scooty Zest 110 for a week for review. 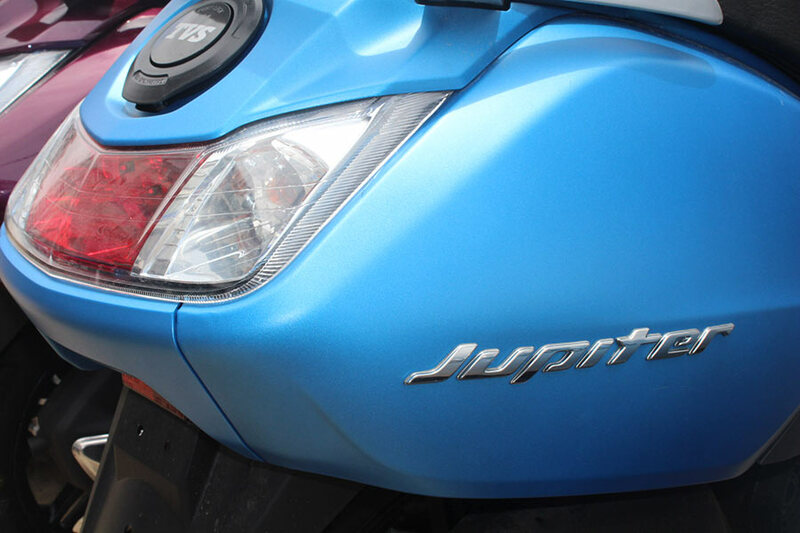 It is true that colors have a great impact on how we perceive things. TVS recently introduced four new colors for its Zest range – Blue, Red, Yellow and Black along with their existing 6 colors. 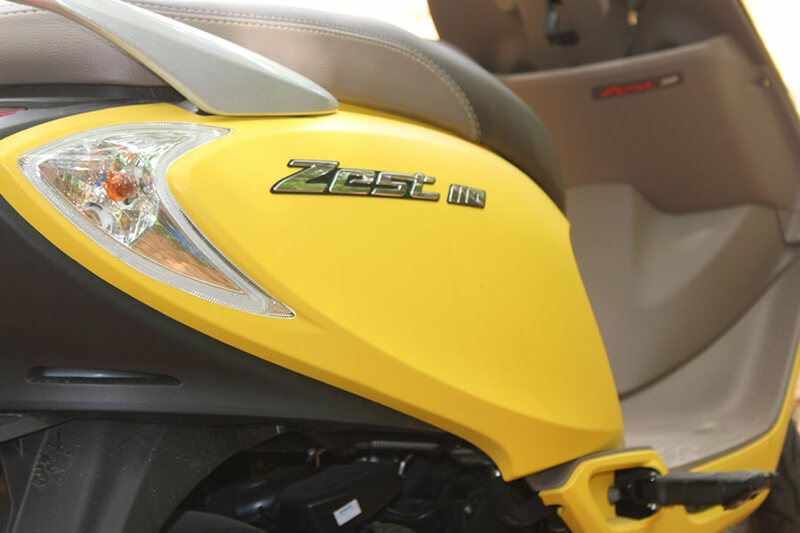 The newly introduced Yellow Matte color of TVS Zest 110 did impress us in the first glance. While owning a good performing scooter is a matter of importance, choosing the right color that blends your character is important too. 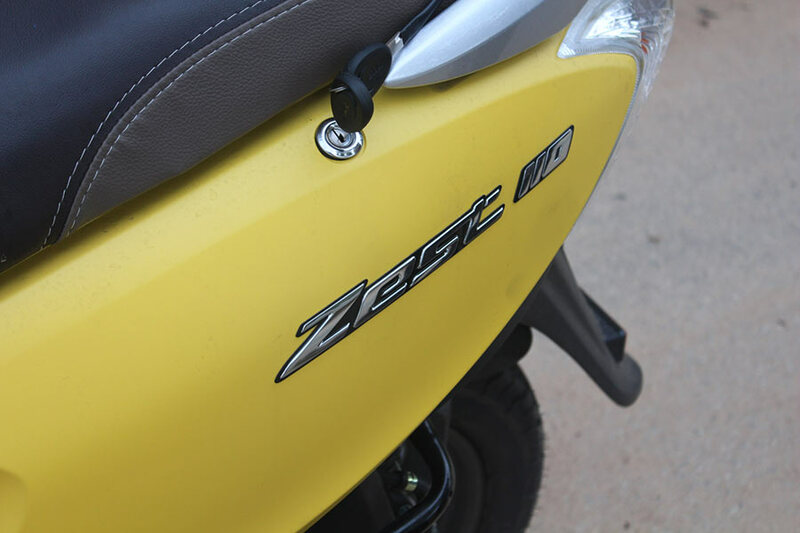 The all new TVS Zest 110 in Matte Yellow with black combination is what we go to test and we are giving a clean thumbs up for introducing such vibrant colors and reviving the Zest 110 brand. Enough said about colors, Scooty Zest 110 looks more like a stylish gadget with wheels. Right from boarding the scooter, unlocking the scooter and getting the scooter to motion – the ergonomics of the bike is well taken care. 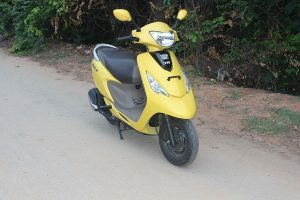 We loved the way how the scooter offers plenty of storage space and most importantly how it stands out and blends along with the structure of scooter’s body. Generally speaking, storage space is something which is seen as “extra” or “loaded” on top of the scooter – but when you see Zest, the scooter itself beautifully holds those extra area. The front pocket storage is pretty handy for one to pile up documents, notebooks even a small hand bag. 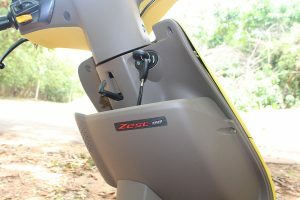 You also get a hook in the front to carry your bags. 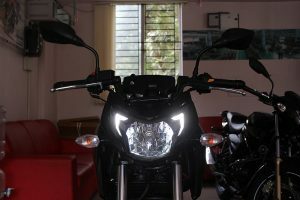 The headlamps, turn signal lamps and the always on centre lamp goes along with the design. 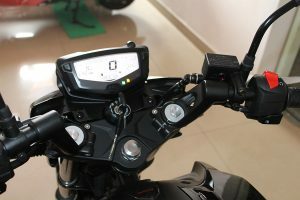 The scooter offers a pretty neat dashboard with speedometer, odometer, tachometer and fuel guage. 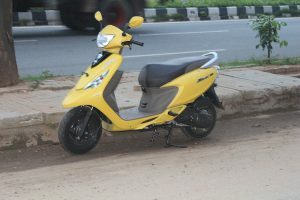 The seat height and body weight of the scooter was perfect for any rider ( including the shorter one’s). 1st April is when the entire 2-wheeler industry had to comply with selling only BS-4 powered scooters along with compulsory Automatic Headlamp On feature. 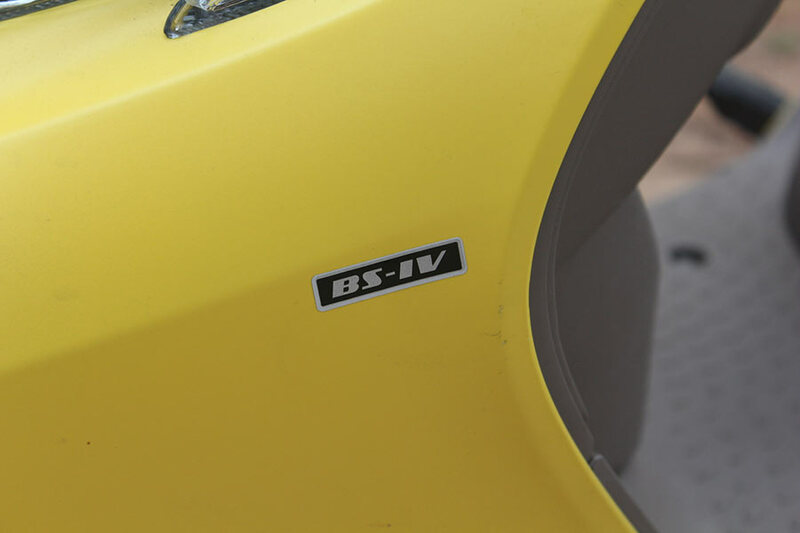 The all new TVS Scooty Zest which we are talking about today is powered by BS-4 compliant single cylinder, 4 stroke, air-cooled 109.7cc SI engine. 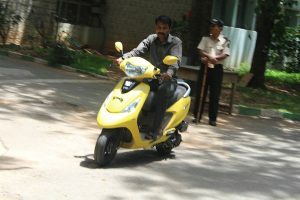 As you know, it is an automatic gearless scooter and you one need not huzzle-buzzle on things like “shifting gears”. 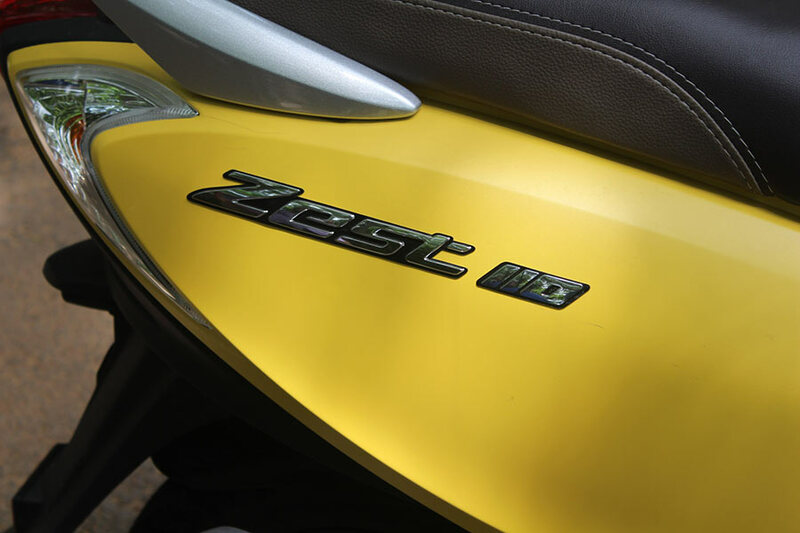 Zest 110’s engine churns out a maximum power of 5.88kW @ 7500 rpm and delivers a peak torque of 8.4 Nm @ 5500 rpm. 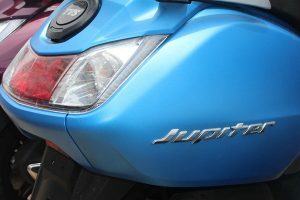 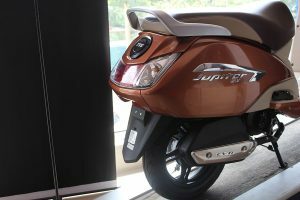 The engine was smooth enough and offered us enough power which was on par with any other scooter in 110cc segment ( Like Activa 4G, TVS Jupiter ) etc. Manoeuvring the all new 2017 TVS Scooty Zest 110 through quick turns was easy. 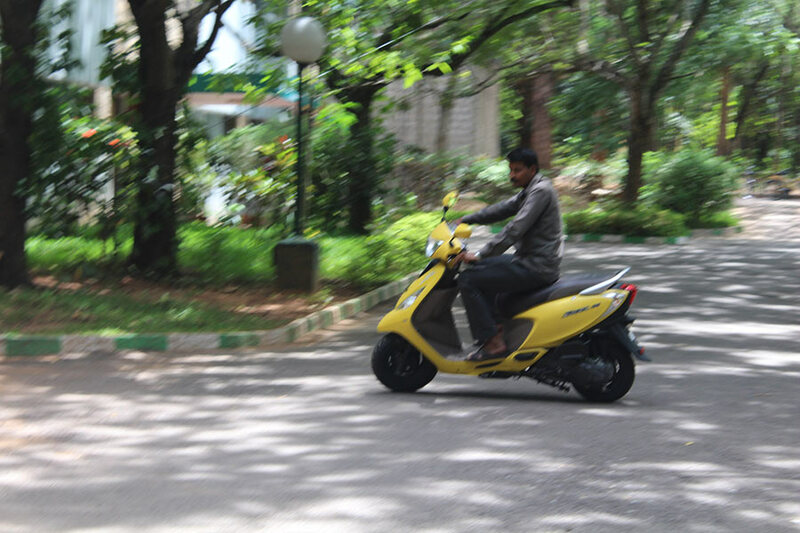 The scooter also offered enough stability with a pillion rider in the back as well. 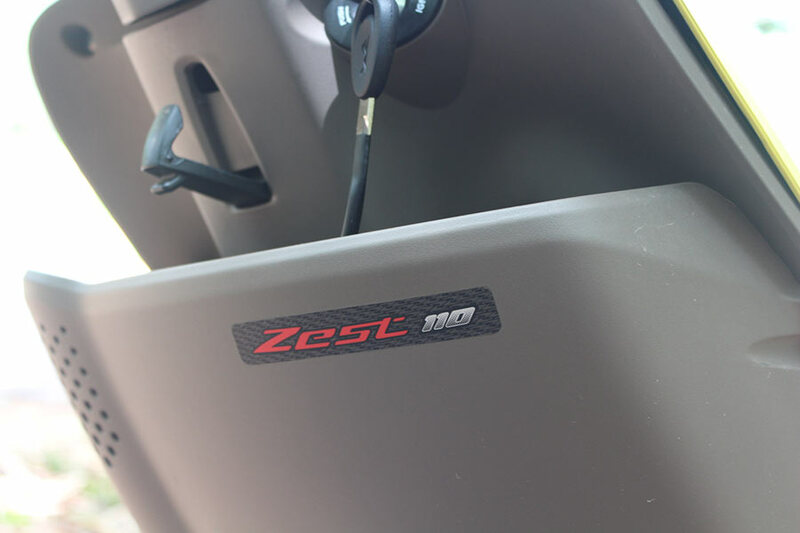 While the front telescopic suspension was good enough to tackle minor road humps / road brakes on city roads, we are very skeptical about Zest 110 passing through the heavy Himalayan terrain with confidence! Both front and rear gets Drum brakes that assists the scooter to get to hault. 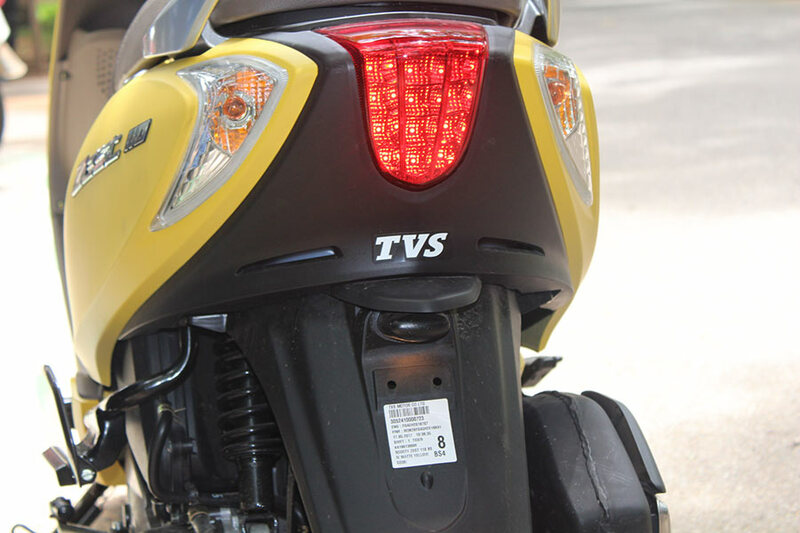 Talking about the tyres, you get TVS’s very own Tyres 90/100-10 in the front and 90/90-10 sized tyres in the rear. 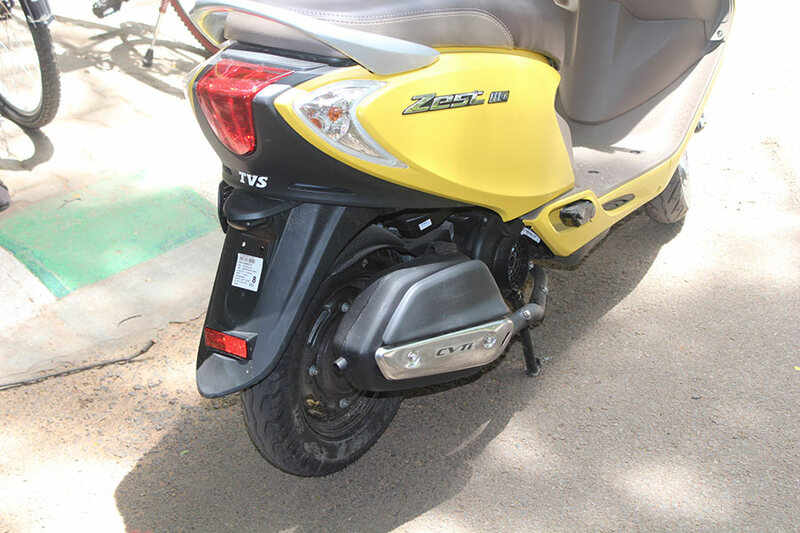 The tyres are tubeless. 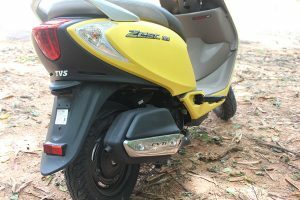 The wheelbase of TVS Scooty Zest 110 is 1250mm. 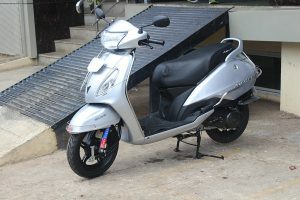 The scooter measures 1770mm in length, 660mm in width and 1139mm in height. 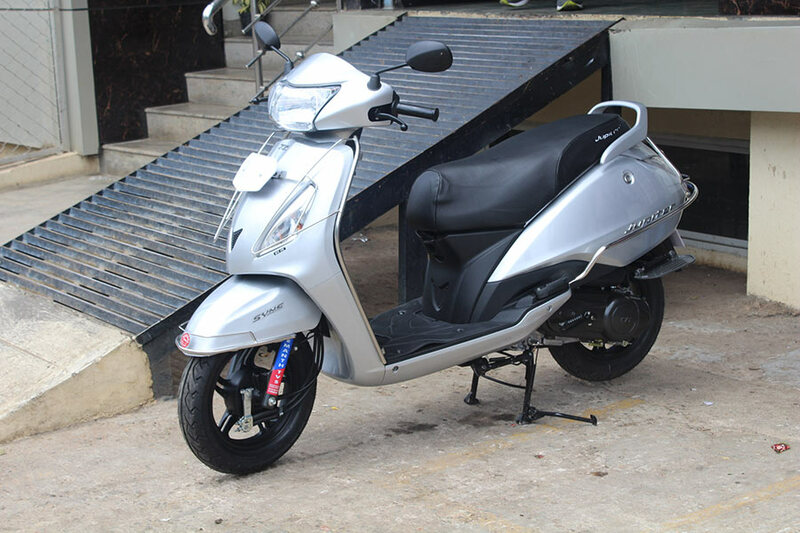 The scooter is so light weight – the kerb weight of Zest 110 is 97 Kgs. As mentioned earlier, Zest 110 suits event the short riders as the seat height is 760mm and is very much reachable. The fuel tank capacity of TVS Zest 110 is 4.9 litres. The all new TVS Zest 110 is offered in 10 new colors, out of which 4 colors are new. 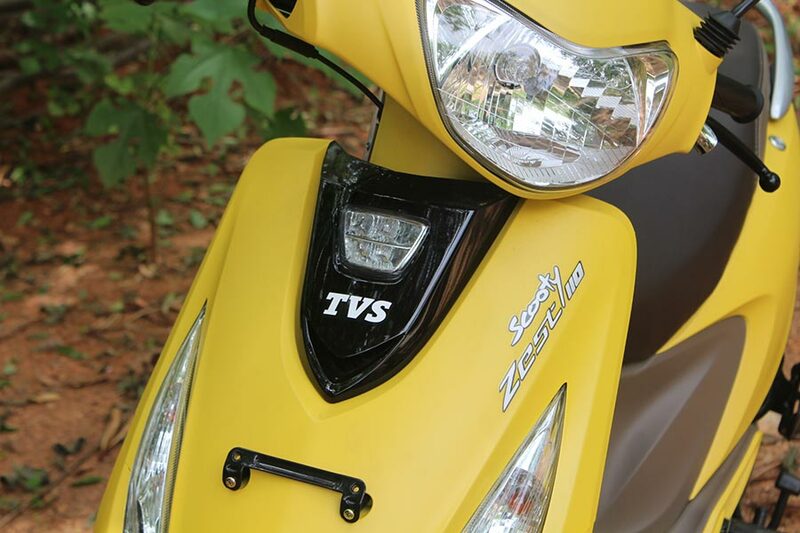 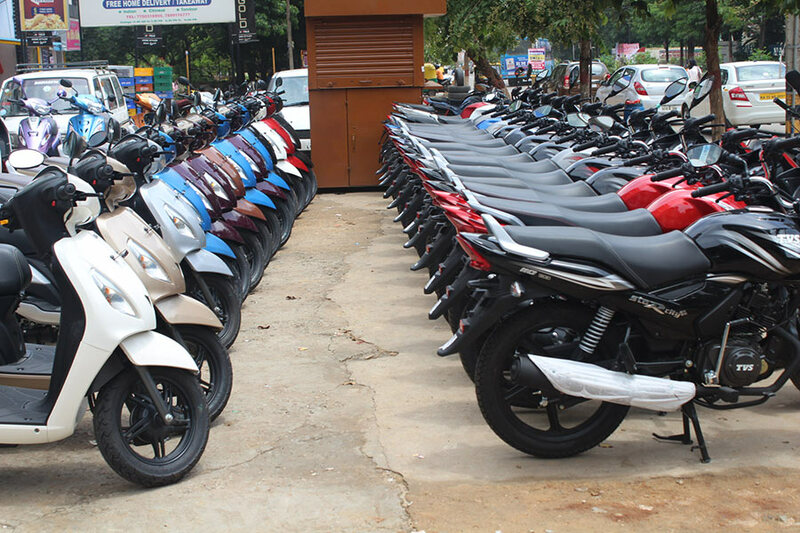 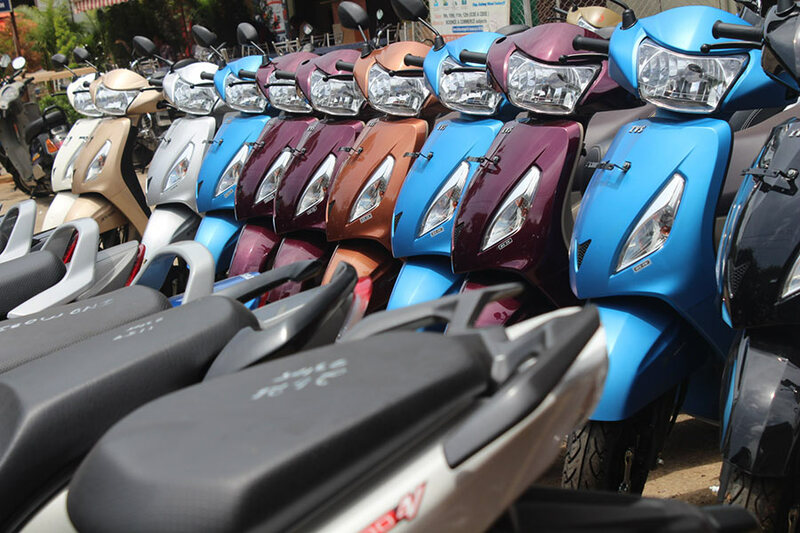 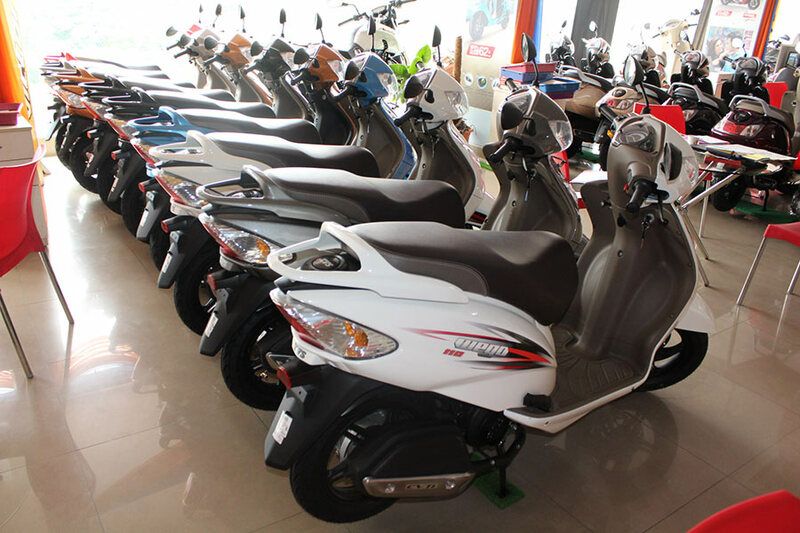 Also Check: All TVS Scooty Zest Colors available. We give the TVS Scooty Zest Matte Series full marks for the design – It was one of the cutest scooters which we test drove till date. 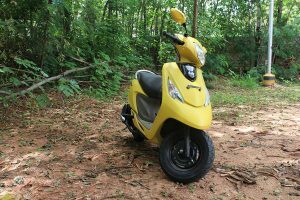 With the price being so affordable, design being so modern, with variety of color options offered TVS Zest 110 has all the recipe for being India’s favorite scooter. When you choose TVS scooter, you can always trust upon TVS’s huge service network that is spread across India. 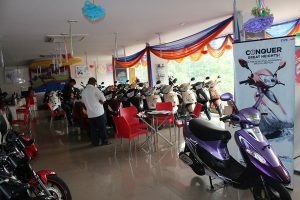 The service and maintenance cost of scooters shall not exceed 900 INR (for paid service ) – from what we heard from TVS Service centre. 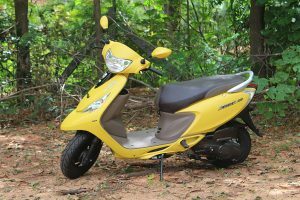 If your budget is around 60,000 INR and if you are looking for a youthful modern scooter, we think the TVS Scooty Zest 110 is the choice you should make! 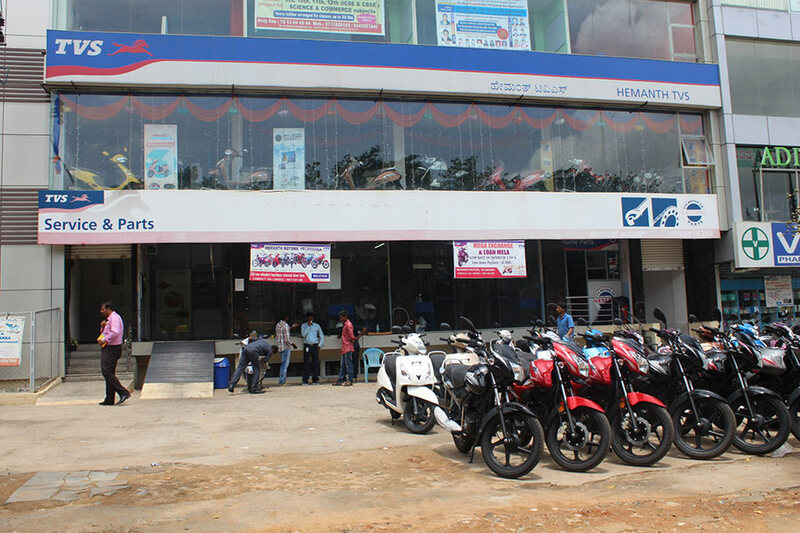 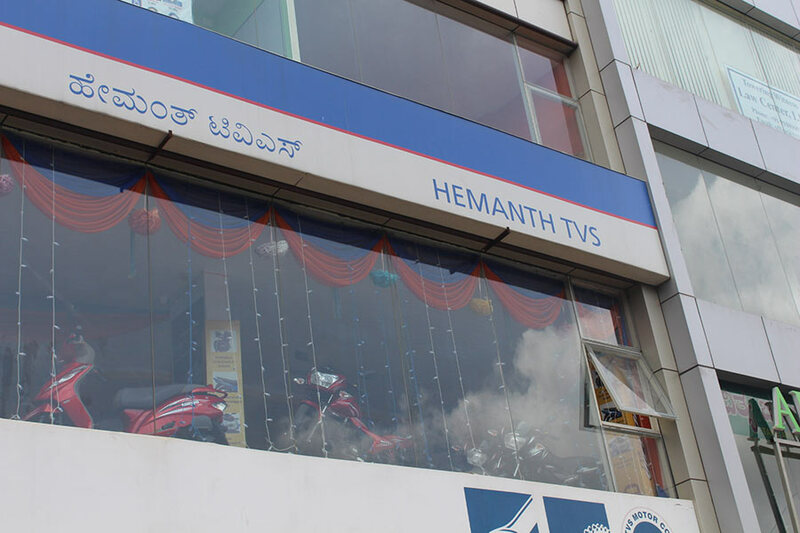 Special thanks to Hemanth TVS, Yelahanka Bangalore for providing us the scooter for review and for the photo opportunity. 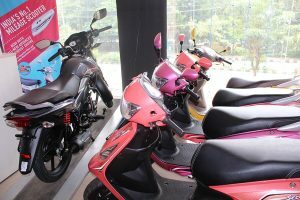 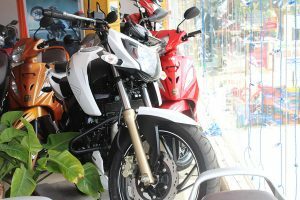 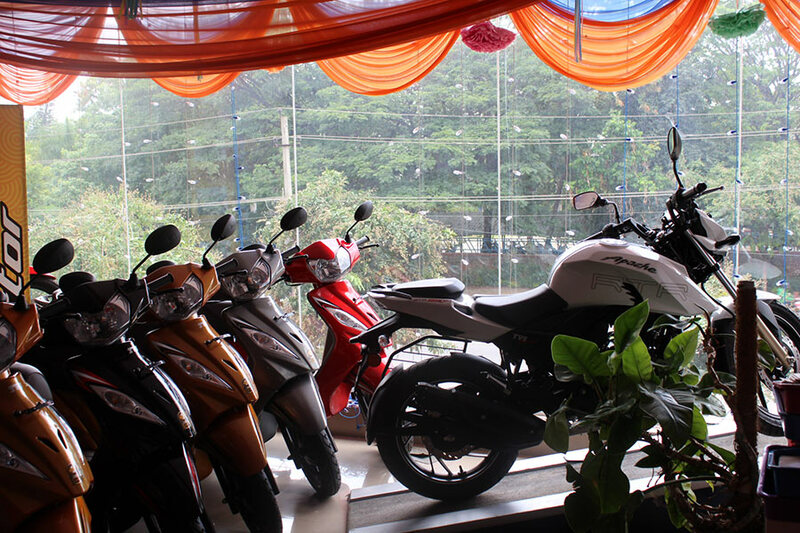 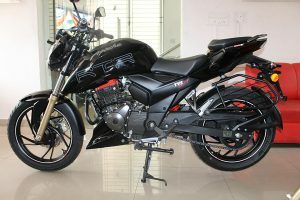 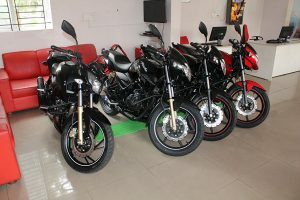 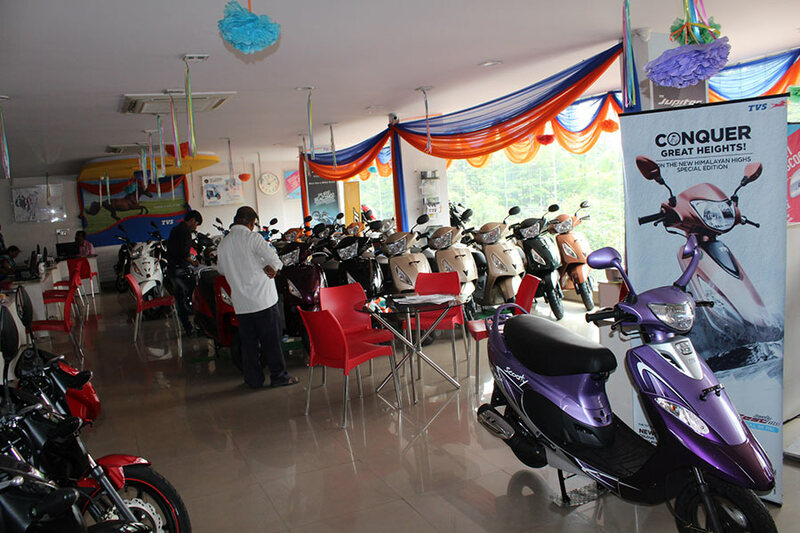 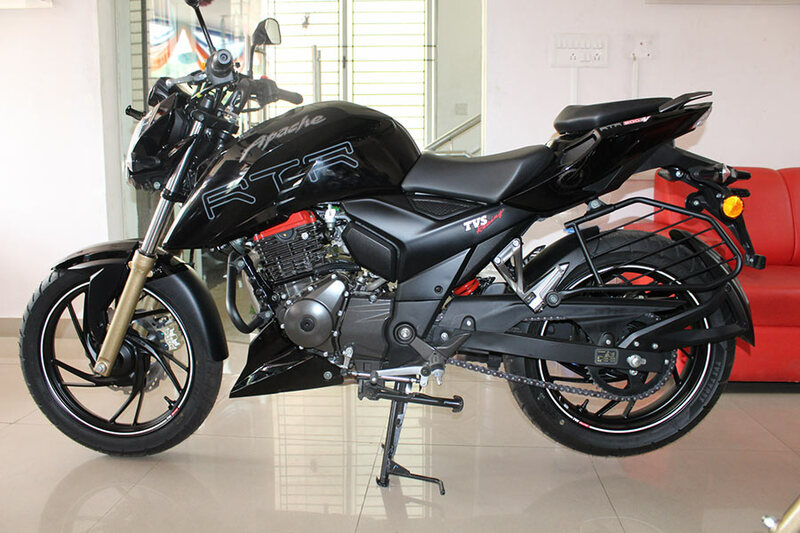 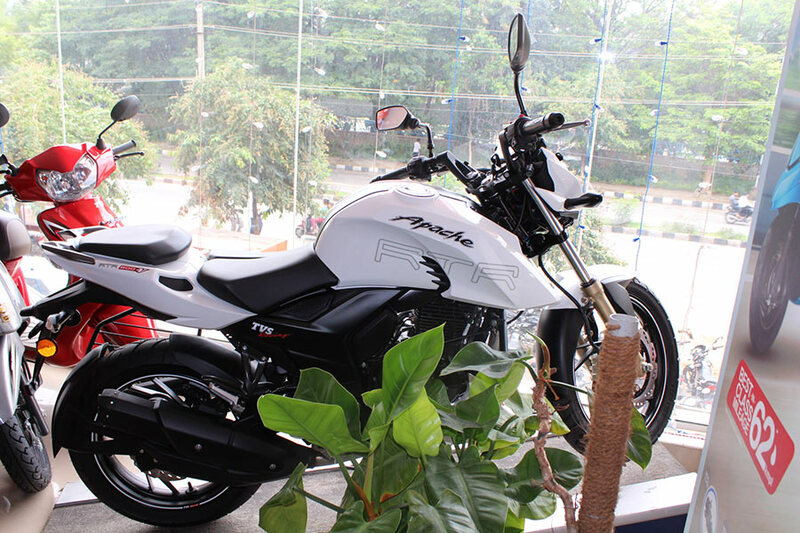 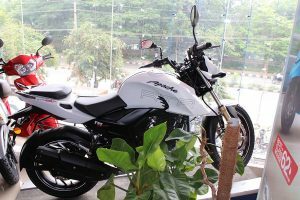 You can check the entire photo gallery of TVS Zest 110 and other motorcycles, scooters that were present at Hemanth TVS Bangalore below. 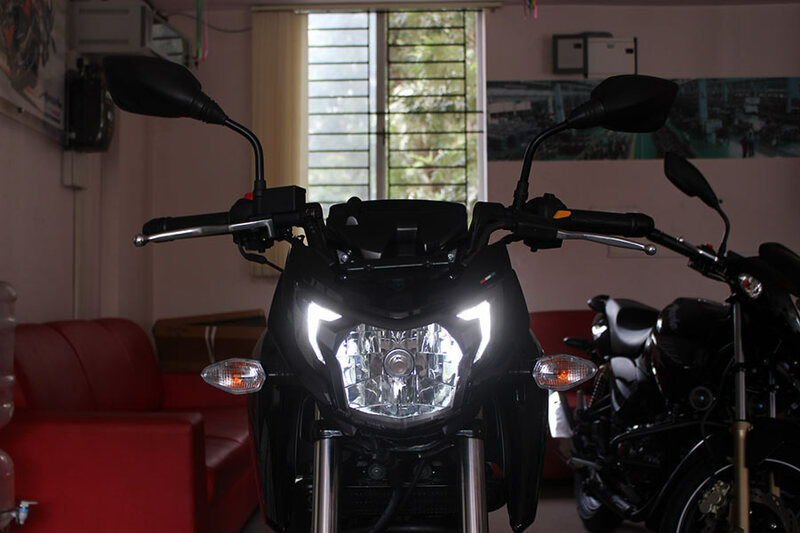 For high-resolution photos check out this and this. 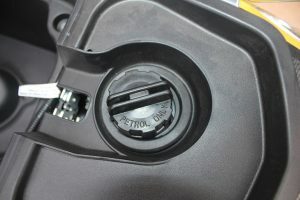 You can add more to this story by commenting below .